The Los Angeles Lakers’ decision to move on from Luke Walton Friday didn’t really come as much of a surprise. Walton has long been on the hot seat. Following a disastrous 2018-19 season that was marred by internal strife and issues pertaining to LeBron James, moving on from Walton was the next logical step. The next several weeks will now be filled with the Lakers’ brass looking for a replacement. Among the names bandied about, James’ former head coach with the Cavaliers, Tyronn Lue, is seen as a front runner. Per the good people over at Sports Betting Dime, Lue joins another big name as the leader in the clubhouse for the Los Angeles’ job. Here are the odds to become the Lakers’ next head coach. There’s certainly a lot of championship pedigree on this list. Of course, most of that surrounds former Lakers great Kobe Bryant. Sorry Southern California basketball fans, that’s not going to happen. Of the five others mentioned, Lue is obviously the favorite. He coached LeBron for parts of four seasons in Cleveland, leading the team to three NBA Finals appearances (all against the Warriors) and one NBA title. Lue’s relationship with LeBron is already well known. It would make for a seamless transition from Walton. Though, Howard is the most intriguing name here. The former All-Star played a remarkable 19 seasons in the NBA. It’s a career that concluded with LeBron in Miami from 2010-13. The two have a great relationship. 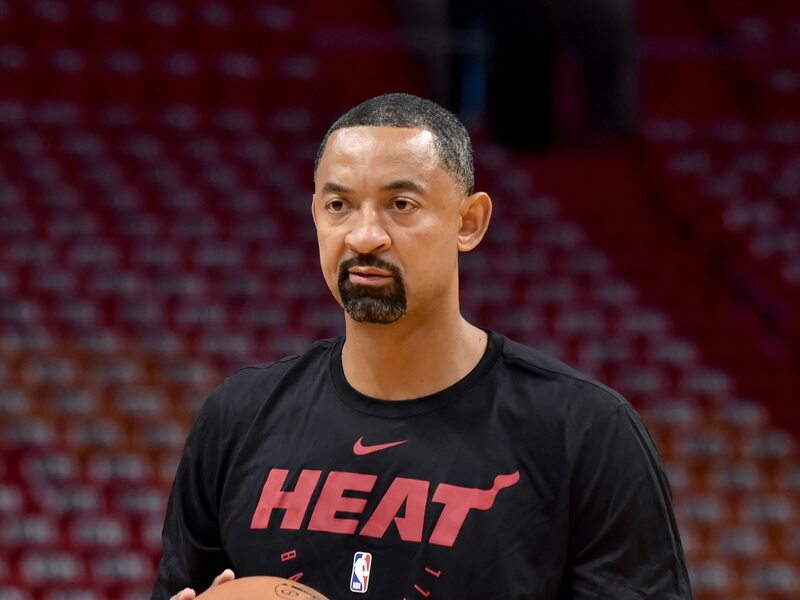 Currently an assistant under Erik Spoelstra with the Miami Heat, the 46-year-old Howard is seen as an up-and-comer within the NBA coaching ranks. We’re highly intrigued to see how the Lakers’ head coaching search goes. We also wouldn’t be surprised if another popular name came up as a potential candidate. For now, it seems to be Lue and Howard at the top of the list.